September 22, 2017 (Punta Cana, Dominican Republic) – The first and only Relais & Châteaux property in the Dominican Republic, Eden Roc at Cap Cana’s commitment to culinary excellence will be on full display when the luxury resort welcomes legendary Chef Thomas Keller for an exceptional Gastronomy & Golf Weekend on November 16-20. To celebrate the iconic Chef’s first visit to Cap Cana, the five-star property has curated a weekend of world-class dining paired with golf at the #1 golf course in the Caribbean and Mexico with a limited time Gastronomy & Golf package. 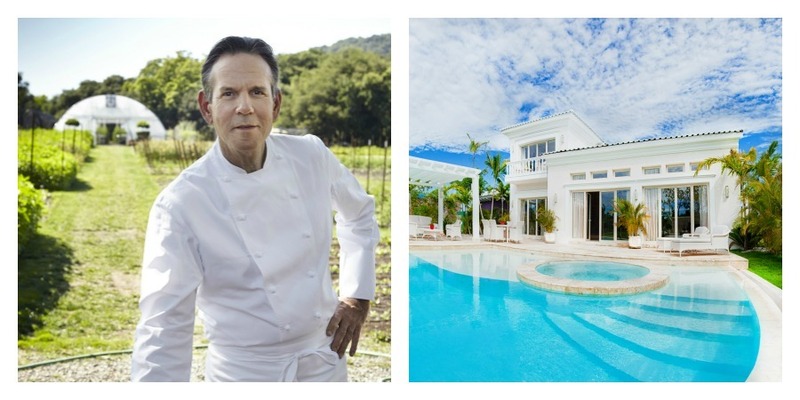 The historic weekend will elevate the resort’s acclaimed dining offerings and pay homage to Chef Keller’s cuisine and passion, starting with a Meet & Mingle cocktail reception hosted by Chef Keller on Thursday night followed by an intimate dinner prepared by the resort’s award-winning culinary team. On Saturday, Chef Gianluca Re Fraschini will serve a gastronomic feast at Mediterraneo Restaurant designed to blend Eden Roc at Cap Cana’s innovative cuisine. An all-day dining event inspired by The French Laundry’s Napa Valley culture and organic markets will take place at the resort’s Beach Club on Sunday, showcasing Cap Cana’s extraordinary food resources and premier culinary offerings. Guests will also be invited to challenge Chef Keller on the greens by playing the Jack Nicklaus Signature Punta Espada Golf Course. The weekend will mark a major culinary milestone for the first and only Relais & Chateaux property in the Dominican Republic and solidify its reputation as a pioneer of the food revolution taking place throughout the Caribbean. The Gastronomy & Golf package is valid for travel from November 15-22, 2017 and starts at $5,000 for 2 adults in a Luxury Pool Junior Suite. For more information about Eden Roc at Cap Cana, please call +1 (809) 469-7469.